"Gentle? But I'm your cute little sister. I'm automatically gentle!" Mark's younger sister. 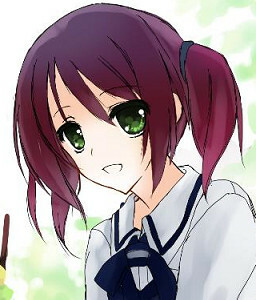 Her real name is Rina, but for obscure reasons everybody calls her "Rin", and she loves calling Mark "onii-chan". She is an otaku inside-out, and rivals Lukas' passion; the two of them are close otaku buddies. "Sachi, my friend, feel free to flip out."